There's a new trend out there and it's... barn doors!! I have to say I'm kind of lovin them! All right not kind of...I LOVE THEM!! They're rustic which I love to mix in with my traditional classic decor. There a bit quirky and definitely unexpected! I love the unexpected in home decor, it's what gives your home that extra "WOW!" I mean come on...how cool are they? 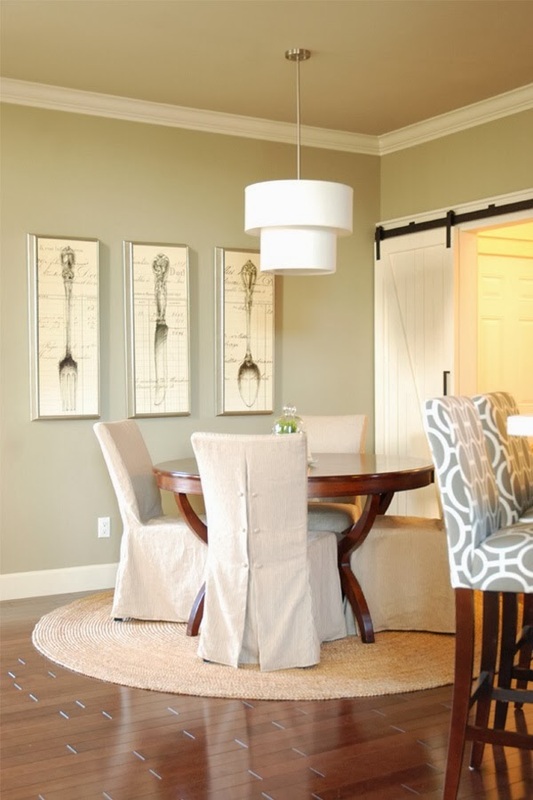 I also love that light fixture! Then there's Ashli from the Mini Manor Blog. Here's her barn door in her dining room. Rustic, but still fresh and stylish. So what do you think? Are you in? Now here's my idea. You see I have this pocket door in my kitchen that leads to my laundry room. And I think a barn door would look adorable! Can you hear my wheels turning?